Decent Work for Domestic Workers at the ILO! 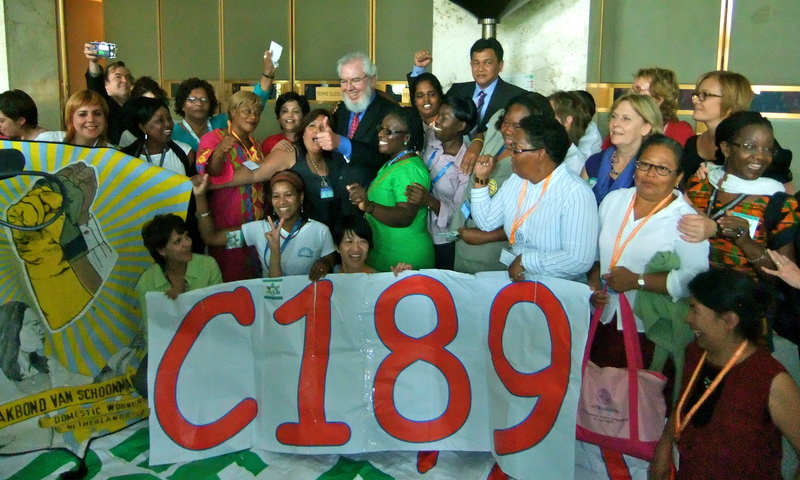 Overwhelmingly, ILO members voted in favor of an international Convention for the respect of domestic workers’ rights! Convention 189 was approved by 396 votes in favor, 16 against and 63 abstentions. The attached Recommendations were even more overwhelmingly approved with 434 votes in favor, 8 against and 42 abstentions. 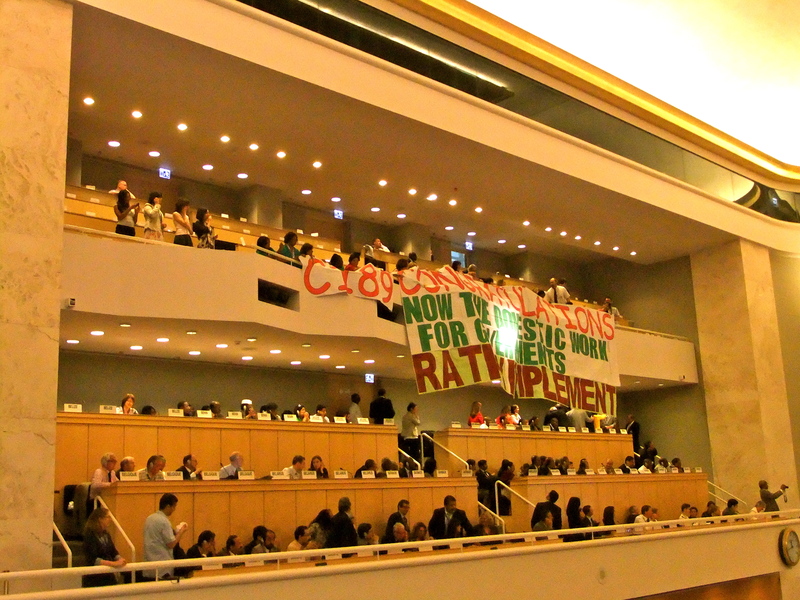 See the our network’s response to the vote within the UN General Assembly! Juan Somavia, Director-General of the ILO, stepped out of the proceedings to congratulate members of the network! This is the beginning of a new era for over 100 million domestic workers all over the world who will start fighting for the ratification and implementation laws in their respective countries. Heartfelt congratulations for your success and perseverance, mighty women and men. The students, faculty and staff of the women’s studies department at Old Dominion University stand with you in international solidarity. Viva. Victory thanks to the ongoing and inspiring work of many domestic workers, of many activist and trade unionist, of many working in the functioning institutions.